The hit sitcom Martin, running from 1992 to 1997, is one of those shows that is firmly embedded in the Black lexicon. From the catch phrases (“You go boy!”, “Player from the Himalayas”, “Get to steppin!”, etc.) to the memorable recurring characters (Bruh Man, Hustle Man, Ms. Geri, etc.) to the characters Martin himself brought to life (Sheneneh Jenkins, Roscoe, Jerome, Dragonfly Jones, etc. ), the show built an impressive mythology for a 30 minute sitcom. In a short 5 seasons, Martin earned its place in history alongside the other landmark shows led by Black comedians and left its mark on the 90’s and millennial blerds everywhere. 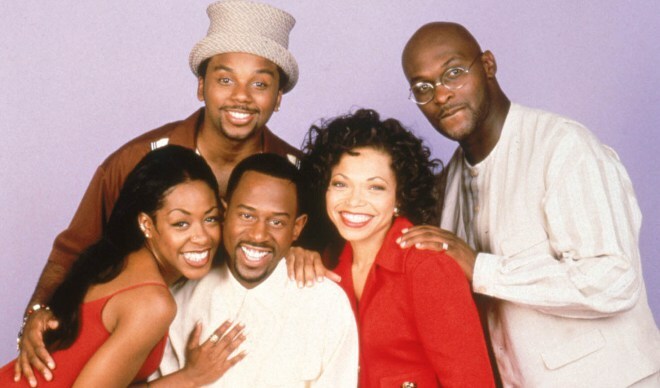 Central to it all was the relationships between the series’ leads Martin, Gina, Pam, Tommy, and Cole. Their chemistry as a cast was perfect. Martin was always dissed for being short. Gina supposedly had an “apple head.” According to Martin, Pam couldn’t keep a man (a fact that was often misproven). Cole lived with his mama and had only bad ideas. And Tommy “ain’t got no job.” Takedowns of Pam’s beady beads and Martin’s ears are still stuff of legend. But through all the shade, they stayed the best of friends. Their lives were unapologetically Black, but that was balanced with notably respected careers. Martin was a radio host and eventual talk show host. Gina and Pam were advertising executives. Representations like these were, and continue to be, rare on television. Outside of the jokes, Martin is commonly remembered for iconic episodes that featured the Notorious B.I.G. and Jodeci. Hell, Martin enlisted Brian McKnight to propose to Gina. In hindsight, these moments hold a special place in history. It has been rumored that there was a lot of conflict behind the scenes, the most prominent being that Martin and Tisha Campbell had an affair. Once Duane Martin (her now husband) came into her life, the tension only grew, culminating in Campbell filing a lawsuit against the show for sexual harassment. If you remember, this is why she is largely absent from the final season, only appearing in phone conversations that she shot alone. And in recent interviews, Carl Payne (Cole) intimated that Martin had issues with him also. So, even though fans have been waiting for any semblance of a cast reunion, we all have to come to terms with the fact that it ain’t never gonna happen. And that is a shame. Something tells me if an act of God actually brought these people back together, it would be just as funny as it always was. Martin may have gone off air in 1997, but its influence continues to be endless. Alas, there will always be reruns. And for the true fan, you can purchase a set of DVDs of the entire series over at Amazon (or in the Blerd Store).